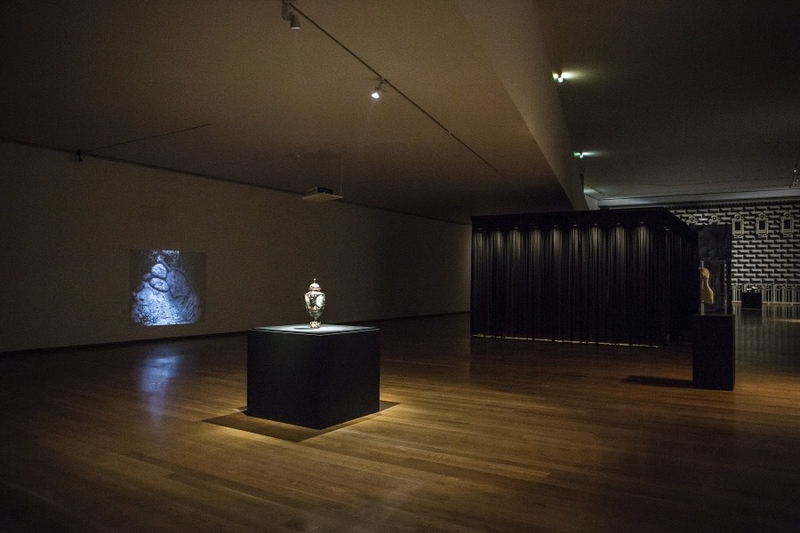 Installation view: 'Transantiquity', Galeria Municipal do Porto, Portugal, 2018. Transantiquity , curated by Filipa Oliveira and Guilherme Blanc, proposes a space for reflection and inquiry into the presence of Antiquity’s legacy in the contemporary era. The exhibition focuses on the relationship between the cultural, political and philosophical paradigms of Antiquity and the work of a group of artists whose practice explores ideas of political, personal and natural identity-building in various territories.